Do GSDs make good family pets? Yes! GSDs are naturally protective of their "pack". Young children should never be left unattended with a puppy, however, if the children learn to respect the puppy as a living being, the puppy will be a wonderful companion for the children as they all grow up together. Your dog's ranking in the "pack" should always be established as the bottom (Omega) member below humans. What traits are inherent in GSDs generally? GSDs are natural herding dogs. Your GSD will try to "herd" you and your family. Often they will "follow ahead", walking in front of you and looking back to make sure you're going where you should. Although the GSD is not used as frequently for herding in present time, there are many breed lines still known for their herding. The breed is naturally loyal, intelligent and protective (which makes it good for police work). The GSD has an excellent nose, making it good for tracking and search and rescue work. They are calm and have a steady temperament when well-bred which is why they have been used as "Seeing Eye" dogs. A GSD thrives on regular exercise, mental stimulation and a well-balanced diet. These traits make a GSD an absolute pleasure to own when well-trained, but in the hands of a novice, unconcerned, uncommitted owner, their intelligence and drive can become difficult to manage. Breeding plays an important role in the temperament of GSDs, so selecting a reputable breeder concerned with both physical health and the personality of their puppies is of utmost importance. Different bloodlines exhibit traits differently, so question breeders about the strong and weak traits of their bloodlines. See the question on German versus American bloodlines about specific general differences. What should I look for in a GSD puppy? Obviously, many factors affect the selection of the puppy, including the personality and lifestyle of the prospective owner. Avoid puppies that appear too shy or nervous. Puppies at an age where they can be sent home with their new owners should be inquisitive and curious. GSD pups generally lengthen along the back and loin rather than get shorter. Look for balance in angulation, especially in the hind quarters as an imbalanced pup may never grow into the correct angulation. Meet both sire and dam if possible since character is very important. The puppies' parents should be OFA certified (preferably "Good" or "Excellent") (US dogs), OVC certified (Canadian dogs) or certified "a-normal" (German dogs). Make sure you see the parents' certifications. Hip problems can be devastating. The OFA is the Orthopedic Foundation for Animals. When potential breeding stock reaches the age of 2, the breeder should have a set of x-rays taken and submit them to the OFA for certification. OFA will return a certification (Excellent, Good, or Fair) along with a certification number for the dog. (Dysplastic dogs will not be given a certification number.) (German certification is done over 1 year of age.) For information on German certifications, see the section on German Pedigrees, Working Titles and Certifications. More information on OFA can be found in the health and medical FAQs in rec.pets.dogs.info. Statistics regarding the GSD and OFA information can be found in the section on OFA Information and Statistics. Watch as the puppies move about. If you are inexperienced with GSDs, do not pick the "bully" of the litter. Watch the puppies interact with each other in the litter as well as with you and your family members. Watch the puppies you are considering interact with you without the rest of the litter present. Look for a friendly puppy who is not afraid, but also allows you to handle it without a lot of struggle. Bloodlines will make a difference in the working drive of the dog. German lines tend to be more dominant than American lines as discussed a few questions down. Ask to look through the puppy's pedigree. Look for obedience titles, conformation titles, hip certifications and make sure that common ancestors are at least 3 generations back. If you don't understand something, ask the breeder! Most of all, select a puppy that feels comfortable with your family. Reputable breeders will also make suggestions to insure their puppies go to happy, well-chosen homes. You can also ask if the puppies have been temperament tested and look at the results. "The Art of Raising a Puppy" by the Monks of New Skete details temperament testing and puppy selection. Elbow certifications as well as hip certifications are becoming more common. As with hip dysplasia, elbow dysplasia can only be diagnosed by radiograph. Also check out the breeding information found at http://www.cluebus.com/holly/breeder.html about specific questions to ask (and to be asked). Can my breeder guarantee my puppy will not have hip problems? NO! Hip dysplasia is considered to be polygenic. That means that it's caused by a combination of genes that may not show up in any litter previously. No matter the certifications in the pedigree it is possible that your puppy could be predisposed to hip dysplasia. That's why preliminary hip x-rays after 6 months are a good idea. Treatments (both surgical and drug) can be done early to alleviate problems down the line. If in doubt, find an orthopedic specialist. Be wary of a breeder that says their puppies will definitely not have hip problems. But, a responsible breeder will guarantee their puppies for life. The guarantee may vary. Some breeders will require you to return the puppy for a replacement; some will refund all or part of your money; some will not require you to return the puppy, but still offer a replacement or refund. Do not be dismayed at a requirement for a return of a puppy. A puppy may be in severe pain and an owner may not be emotionally prepared to put a puppy down who really should be put down. A responsible breeder will want what's best for the puppy/dog. Should I get a male or female? How old should my puppy be before I take it home? Puppies are weaned from their mothers by about 6 weeks of age, but the period following weaning is very important in terms of learning "pack" behavior. Although 8 weeks is old enough and a common age for leaving the litter, 10 weeks is probably optimum for a GSD. However, better to take the puppy at 8 weeks if the rest of the litter have already gone to their homes. Puppies up to 12 weeks old should pose no additional concerns. After 12 weeks old, make sure the breeder has taken special care to socialize the puppy (puppies) with other dogs and people. How big will my GSD be? The full adult size of your GSD will depend in large part on the genetic background of its parents. The AKC Standard states that adult males should range between 24-26" at the shoulder blade, females from 22-24". Males within the standard may weigh anywhere from 65-90 lbs. depending on their bloodlines. Females may weigh anywhere from 55-80 lbs. (Again, much depends on the genetics and bloodlines. The above are only a rough idea.) Although your pup will reach close to adult height by 10-18 months, s/he will continue to fill out until up to 3 years old. Be wary of breeders who emphasize "oversize", "huge", breeding stock or puppies. Bigger is not better in German Shepherds. The German Shepherd is not built to have a skeletal and muscular structure of an oversize breed. An inch or so out of standard may be acceptable providing the general line is not consistently out of standard. A responsible breeder will offset an oversize dog by breeding with a line that is a bit smaller in order to maintain the standards as closely as possible. What is "socializing" and why is it so important? Socializing refers to exposing your puppy to a variety of experiences, including meeting lots of people of various ages, races, sizes and both sexes as well as teaching them how to acceptably interact with other dogs. Puppy kindergarten classes provide an excellent opportunity for socialization in a controlled environment. Socializing is important because it helps strengthen your dog's confidence and reduces the chance that your dog will become shy or fearful. Fearful dogs can become fear aggressive or fear biters. When will my GSD puppy's ears stand? Although some puppies' ears stand as early as 8-10 weeks, don't be concerned if your pup's ears don't stand until 6-7 months (especially pups with large ears) after teething. Some pups ears never stand. This is known as a "soft ear". Sometimes taping is successful. "Soft ears" are a genetic trait, and dogs with soft ears should not be bred even if taping is successful. It is a disqualification in showing. Some GSDs ears stand but wiggle at the tips when the dogs run. This is known as "friendly ears". Friendly ears are not a disqualification but are not a desirable trait. One method of "taping" ears is to take a pink foam roller and attach it with eyelash glue to the inside of the ear (the pinna). Do not block the ear canal. Taping may take up to 2 months. But again, be cautious about considering breeding a dog whose ears have had to be taped. What precautions should I take with my GSD puppy? Other than the normal precautions of immunizations (see the new puppy FAQ at http://www.k9web.com/dog-faqs/new-puppy.html#health), beware of a fast-growing puppy. There are studies that show a correlation between fast growth and hip dysplasia (if your pup is predisposed to HD). You may want to switch your puppy over to adult food if it seems to be growing very quickly (see also Your New GSD at Home). Don't pet your puppy's ears backwards before they stand. Although people often do this by nature, it can damage the cartilege in your pup's ears which can affect the ear carriage. When your puppy is about 6 months old, have preliminary x-rays done of your puppy's hips. If your pup shows signs of dysplasia, there are treatment alternatives available to younger dogs that are not available if the dog is older and has arthritic changes. If detected early, there are things you can do for your dog to give it a happy, healthy life even with dysplasia. If your pup shows mild signs, consider having another set of x-rays taken after your dog turns 2. Orthopedic changes (both positive and negative) can take place up to this time. Under NO circumstances should a dog with any sign of hip dysplasia be bred. Breeding stock should be certified with the Orthopedic Foundation for Animals before breeding. OFA will certify dogs over 2 years of age. You are strongly urged to not buy a puppy from a breeder who does not have OFA certificates on their breeding stock. Do not accept a breeder who says "Oh, my vet checked them and they're fine." There are many subtleties in dysplasia that a vet not trained in orthopedics may miss. You can look up a dog in the OFA database at http://206.29.98.50/ofa/index2.htm to insure that the dam and sire in question truly are OFAd. Do take your puppy to puppy kindergarten and obedience training classes and do your homework for these classes. Behaviors that are cute in a 15 pound puppy can be dangerous in a 75 pound adult. Socialize your puppy with people (especially children) and other dogs frequently (after your puppy has completed its immunization series sometime after 16 weeks old). Your puppy may go through a period known as "adolescent shyness" when it reaches 4-5 months of age. This period can last until the pup is 12-18 months old. Socializing your puppy from an early age will help minimize this shyness. Expose your puppy to a variety of experiences, but do so gently. You don't want to traumatize your puppy. Be careful of heavy physical exertion directly before and after eating, especially if your GSD is a "gulper". GSDs (and many other breeds) can suffer from bloat. If your dog's abdomen becomes distended and rigid and it can not seem to belch or pass gas, gastric torsion may be the problem. (The stomach twists.) This is an immediate health concern and you should contact your vet or an emergency clinic. When should I switch my puppy to adult food? Individual puppies and bloodlines will vary. You probably are best off discussing your puppy's growth and needs with both your vet and your breeder. Many breeders and dog food manufacturers advise switching to a high quality adult food at four to six months of age. As long as you are feeding a high quality food, this has no ill effect on the puppy and is probably a good idea. Check out the content of the food closely. A puppy or dog with average activity should have about 26% protein and 15-18% fat. Look for some kind of meat to be the first ingredient, not a grain product. Don't overlook feed stores as a good place to buy dog food. Often prices are less than at pet supply stores. (Please don't patronize pet stores that sell puppies. Pet stores are in the business of making money, not breeding responsibly.) Offhand, if your puppy is growing very quickly, you might want to ask your vet about switching to adult food even as early as 12 weeks. Studies have shown that puppies growing quickly may exacerbate a prediliction to hip dysplasia. Otherwise, you can consider switching any time after 10-18 months depending on the dog. Dry food is fine. You don't need to supplement with canned food. It's expensive and doesn't provide anything a good dry food doesn't. If your puppy doesn't want to eat the dry food, you can moisten it slightly with warm water. (This may also reduce the risk of bloat). How often should I feed my puppy and how much? Should you choose to schedule feed (and there's nothing wrong with this), it's still better to feed at least a small amount of food before leaving for the day. Often a dog that's hungry will vomit up yellow bile. A small meal in the morning should keep this from happening, but shouldn't cause the dog undue distress from needing to relieve itself during the day. You can feed the dog its main portion of food in the evening when you're home to walk it. For a German Shepherd with an average activity level, 1 cup of food in the morning followed by 3 cups in the evening should be about right, but keep an eye on your dog's weight and adjust the food accordingly. Approximately the same rules apply to water. It won't do a puppy any harm to have its water source removed about an hour before bedtime and not have access to water until the morning. Fresh water should be available with every meal. Once the dog is housebroken, free access to water unless you will be gone for an extrodinarily long period of time should not be a problem. What is bloat (gastric torsion)? Bloat (otherwise known as "gastric torsion") can be a problem with any deep-chested breed like German Shepherds. The stomach twists so nothing can pass through the esophagus to the stomach or through the stomach to the intestions, causing gas to build up. This is an immediate health concern where the dog should be taken to the vet or emergency clinic. Signs of bloat include a distended rigid abdomen, indications of vomiting with no results and inability to belch or pass gas. What is the life expectancy of a GSD? Most lines of GSDs will live to between 10-13 years of age. 11-12 years is probably a very reasonable expectation. A GSD becomes "middle-aged" between 5-7 years old, and is generally considered "geriatric" at about 10. Their food intake and exercise and nutrition needs may change over this period of time. They may begin to develop stiffness in their joints (much like people do as they get older). Healthy teeth are important as bacteria from decaying teeth can affect the health of the dog. I talk to some breeders who tell me to not look at GSDs from American bloodlines. I talk to some who tell me that I shouldn't look at GSDs from German bloodlines. Who's right and who's wrong? Both and neither. There are some fairly distinct general differences between the two lines, and there are some breeders trying to breed for "the best of both worlds" by crossing American lines with German. The best thing you can do is determine what you want from your German Shepherd Dog and want to do with him/her, and find a line and breeder that breeds for those traits in a responsible manner. German Shepherds from American lines are typically longer and leaner than GSDs from German lines. Often GSDs from American bloodlines are taller as well. American GSD lines tend to have sharp angulation in the hind quarters, more so than any other breed. This angulation allows them to move seemingly without touching the ground. American lines tend to be bred for elegance and nobility. A well-bred GSD from American lines is calm, discriminating and intelligent: never fearful. They are often less active and less dominant than their German counterparts which can make them better pets for the potential owner looking solely for a good companion, especially novice owners. To the negative side of GSDs from American lines, many lines lack working ability or drive. If you're interested in any kind of work or sport activity with your dog, look for a breeder who tests working aptitude in their breeding stock. (Aptitude can be tested separately from actually taking the dog to trials and competing in events.) The AKC does not require breeding dogs be able to work or have any titles. Bad examples of German Shepherd type may appear spindly and unbalanced when they move. Such poor movers can have trouble with jumps and tight turns required in various sports. Some GSDs of this type are nervous and spooky. German line GSDs are generally stockier than their American counterparts and more moderate in both structure and movement without the severe angulation found in American lines. They may not appear as graceful and dignified but instead have an air of muscular agility. German lines typically produce high-energy, high-intensity dogs. German breeding stock is required to pass minimum standards for both conformation and working ability, so dogs from German lines rarely lacking intelligence. However, the dogs from some bloodlines pass working tests by being aggressive and "sharp" without discrimination which does not lead them to be good working dogs. A poor-quality German-line German Shepherd may be too heavily built for real agility and/or may have a temperament that isn't suitable for any but the most experienced owner. Dominant aggression is more likely to be found in these lines than fear aggression. Some breeders breed for size and aggression rather than a well-rounded, well-tempered dog. Hip certification in Germany follows different rules and guidelines than that of the OFA. Dogs are x-rayed at one year of age rather than two years, and hips are rated "A-normal", "fast normal" or "noch zugelassen". Hips rated NZ may not pass OFA certification. Good examples of either German or American lines should be highly intelligent, trainable and extremely loyal to their families. All German Shepherds, regardless of their ancestry, should be bred for good health and stable temperaments. Both German and American lines have their passionate advocates, but the decision of what bloodlines to purchase is ultimately a matter of taste, need and expectations. You will find fans of the American lines who will tell you that all German dogs are ugly and brutally aggressive, and some lovers of German lines would have you believe that American dogs are unsound, stupid, and cowardly. Both of these extremes are exaggerated: Healthy, mentally sound dogs can be found in either bloodline. The most important thing is to find a good breeder whom you trust and whose breeding stock (both the chosen sire and dam) fits your lifestyle, regardless of style or registry. If you are interested in showing your dog in the AKC conformation ring with the intention of getting a championship, you are probably better off looking at American lines. It will be difficult if not impossible to win with a German Shepherd from German lines. American (AKC) GSDs from responsible breeders are bred with an eye to what the AKC breed standard demands and what AKC conformation judges reward. A German line GSD may be beautiful but still won't be right for the AKC show ring. 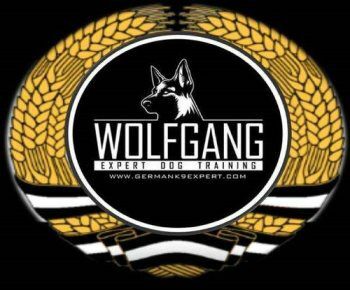 If you are more interested in competing in Schutzhund, training for protection work, herding, or other working discipline, you may be better getting a GSD from German lines. There are American dogs who have the courage and drive, but their ancestors may not have competed for the last 6 or 8 generations. All of the German dog's ancestors have been selected for working ability, so you have a greater chance of finding a suitable puppy without having to test litter after litter. Also, since a breeder of German lines is more likely to be involved in working disciplines, you will know someone who can mentor you. Given the above generalizations, choose the type more suitable to your needs, lifestyle and abilities. If you do your "homework" in researching breeders to find someone who is responsibly selecting and testing their breeding stock to produce healthy, well-tempered German Shepherds, you are far more likely to end up with a puppy who fits your expectations more comfortably. Be totally open and honest with your breeder in your desires so s/he can help you select the right puppy for you. Any GSD physically and mentally capable of the work should be able to be trained and compete successfully in obedience, agility, tracking, herding and other disciplines, and any well-bred GSD should make an excellent companion. Do German Shepherds shed a lot? Yes. The GSD is a "double-coated" dog with an undercoat and guard hairs. The guard hairs will be shed all year. The undercoat is "blown" twice a year. "The correct GSD coat is relatively short with an obvious undercoat. As such it is quite waterproof. Some dogs are born with long coats which usually, though not always, are devoid of undercoat. Such coats are less useful and more difficult to groom, but many pet owners seem to like the long-coated version. Thus there is not strong selection against it, though very few breeders would deliberately breed from long-coated stock. The normal coat is dominant to the long version, so there are three kinds of dog: normal, normal but carrying the long coat gene, and long. About 10% of the pups are born long-coated." 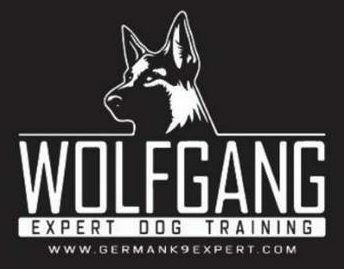 This being said, if you don't intend to show your dog in conformation, there's no reason to avoid the long-coated GSD. Long-coated GSDs can and do compete in obedience and other working disciplines. You should be aware, however, that the longer coat does require more attention when grooming. Are GSDs smart and easy to train? Yes and no to both. Most GSDs are eager and willing to learn and enjoy training sessions (don't overdo with a young pup - they just don't have the attention span). If you start young and teach your puppy its order in your "pack", problems with training will be minimized. However, GSDs tend to have more dominant personalities than some breeds and can be stubborn, so some care in training is recommended. Classes are extremely beneficial. A GSD that thinks it's the Alpha member of the pack can be a big handful. My adolescent GSD is limping! What should I do? But... most likely the vet will confirm that your pup has panosteitis, an inflammation of the long bones in the legs of adolescent pups. It's fairly common in GSDs. It's also known as "long bone disease", "shifting leg lameness" and "growing pains". "Pano" can be detected and diagnosed by x-ray. Onset can be from 5-12 months (occasionally later) and last until 18 months or more. Though it is uncomfortable for the puppy, it almost always grows out of it. The lameness need not be limited to one leg. Pano is generally considered to be a polygenic trait with limited heretibility. What is a "gay tail"? A GSD that carries its tail naturally higher than its body is said to have a "gay tail". Many Northern breeds such as Samoyeds are bred to carry their tails high. It is a fault in GSDs. Why do GSDs have a reputation of being vicious? In the 1950s, GSDs became the most popular dog in the AKC registry. As a result, many breedings were made without regard to pedigree history and inbreeding caused many personality problems. Reputable breeders will usually not allow inbreeding at least 3 generations back in the puppy's pedigree. Inbreeding and linebreeding can be beneficial in a breeding program if a breeder practices them carefully. Desireable traits can be strengthened, but undesireable traits and faults may be brought forth as well. If you notice inbreeding or linebreeding in the pedigree, question the breeder as to why and what the perceived advantages were. Breeders practicing these breedings should be able to give reasonably educated answers as to why. Why is a white GSD disqualified from the show ring in many clubs? The GSD was bred and developed as a herding dog. A pure white coat is not readily visible on snowy hillsides and sheep seem to respond better to colored dogs. As a guard dog, white is too visible. Also, top breeders have bred against a white color for a lengthy amount of time, so the gene pool of white GSDs is very limited and inbreeding can be a problem. What is an average size litter? What is the difference between a GSD and an Alsatian? There is no difference. After each of the World Wars, anything German fell out of popular favor. To avoid the use of the word German, "Alsatian" (from the Alsace-Lorraine area) was used. In some countries, GSDs are still known as Alsations. The name in Germany is Deustche Schaferhund which means "German Shepherd Dog". The word "Dog" is part of the name. Why is the word "dog" used in the breed name for GSDs and not for other breeds? The name in Germany is Deustche Schaferhund which means "German Shepherd Dog". The word "Dog" is actually part of the breed's name unlike other breeds. Is there a club for GSDs in the US or in my area? Yes. You can get a packet of information on GSDs, information about the United States national club and information on a local club (if applicable) can be had by writing to the German Shepherd Dog Club of America (address in Resources below). You may be able to find out if there's a club in your country from this organization as well. You can also contact the United Schutzhund Club of America (USA) (address in Resources below) to get information on GSDs in general, about Schutzhund, about conformation shows and Schutzhund trials, the Breed Registry and to find a Schutzhund club near you.